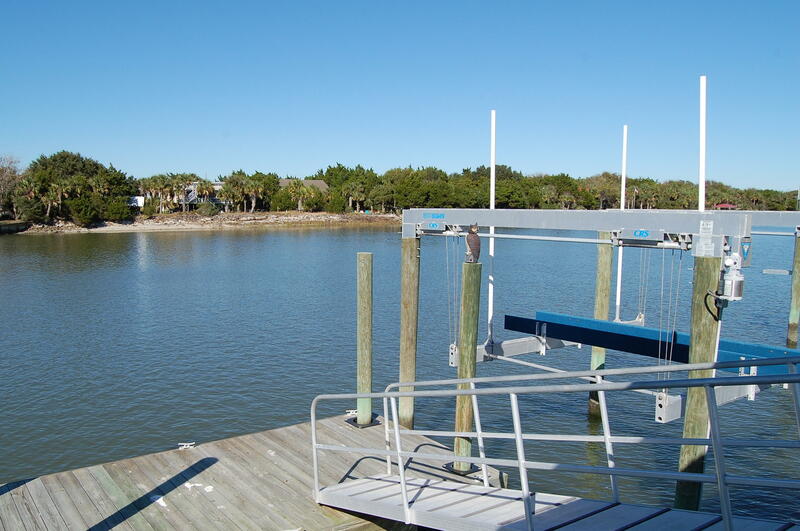 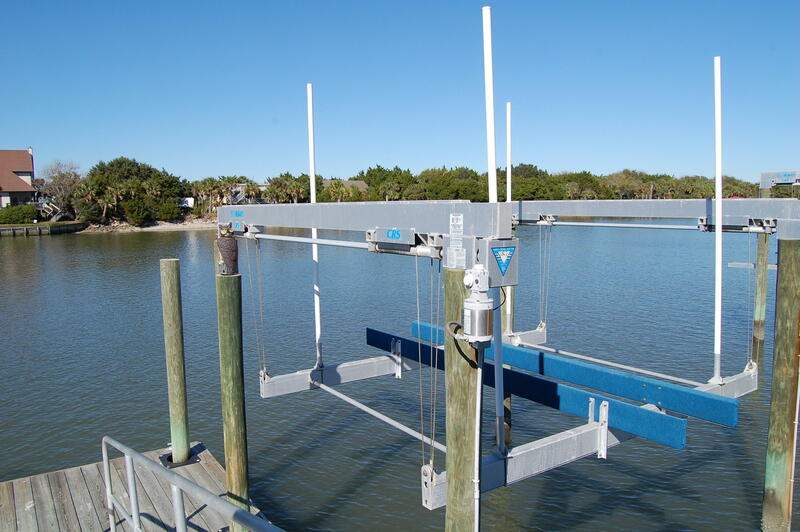 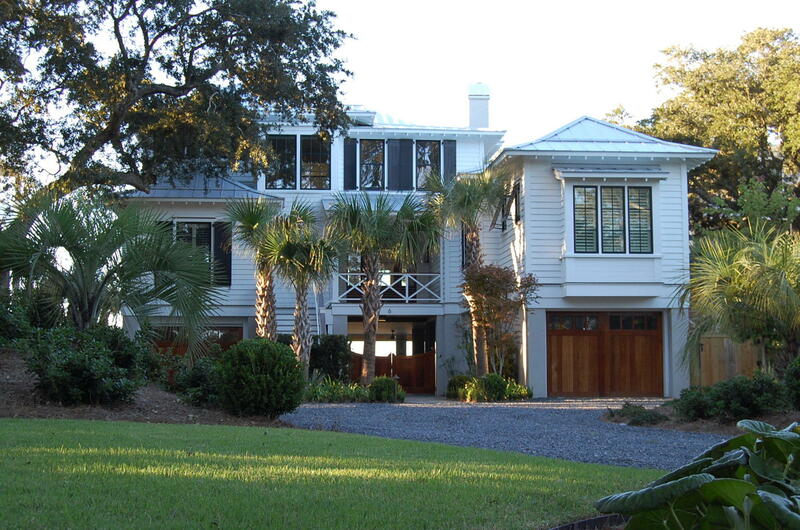 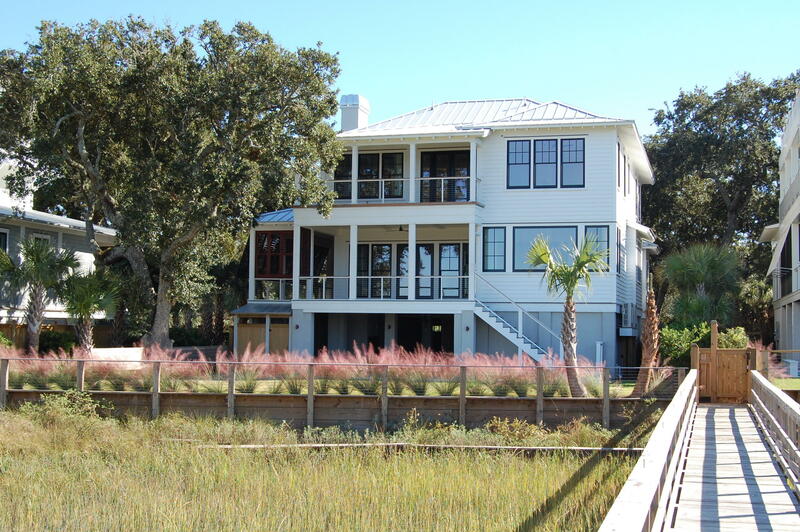 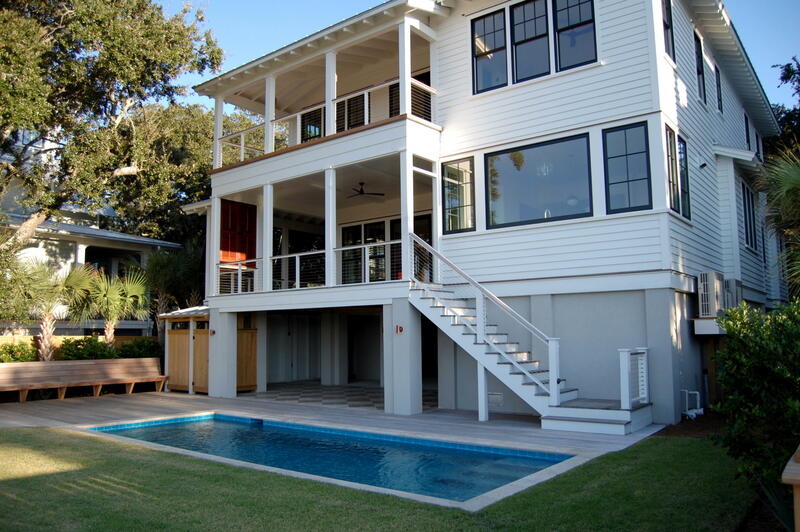 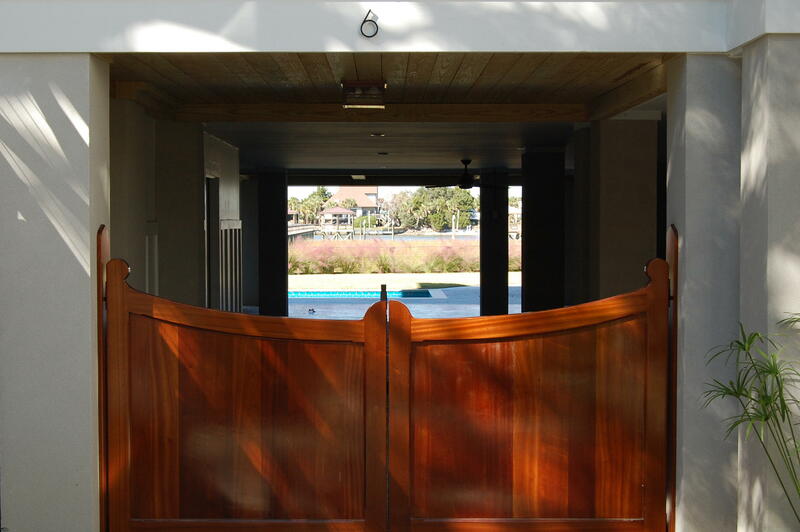 Quality construction and attention to detail is evident throughout this unique waterfront property. 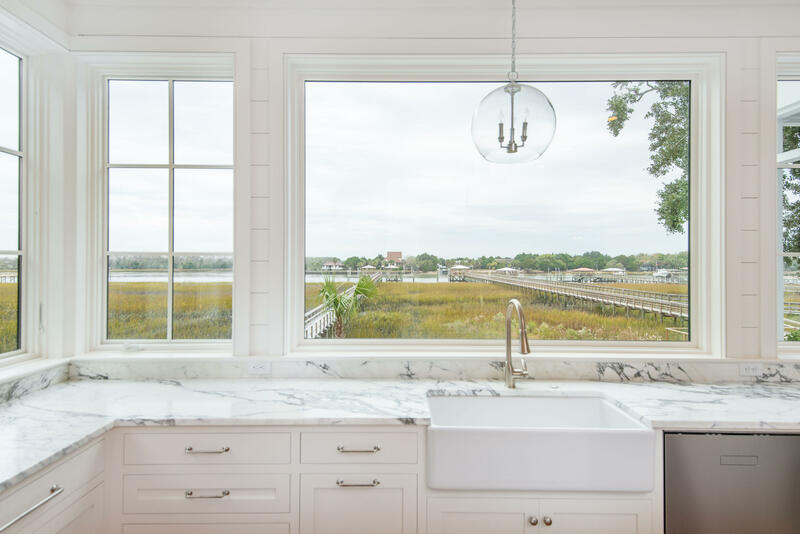 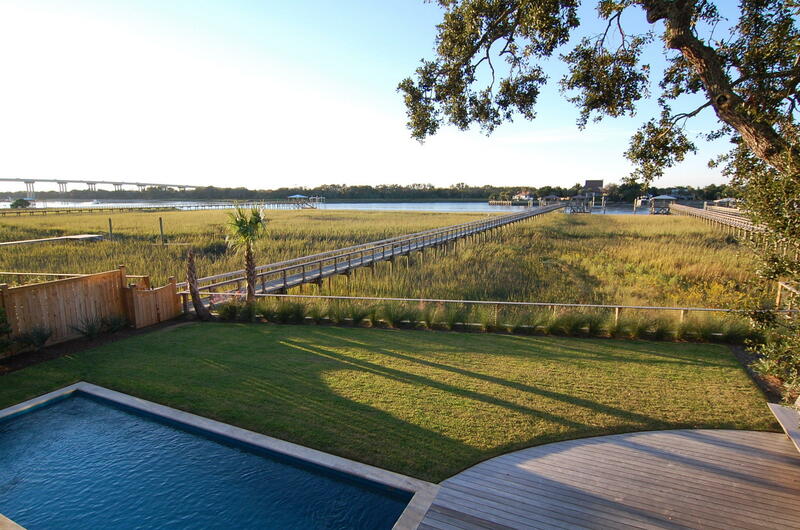 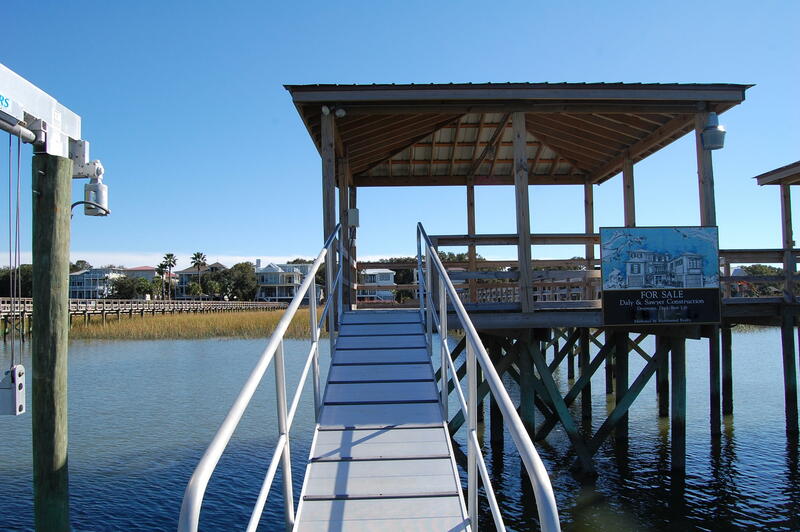 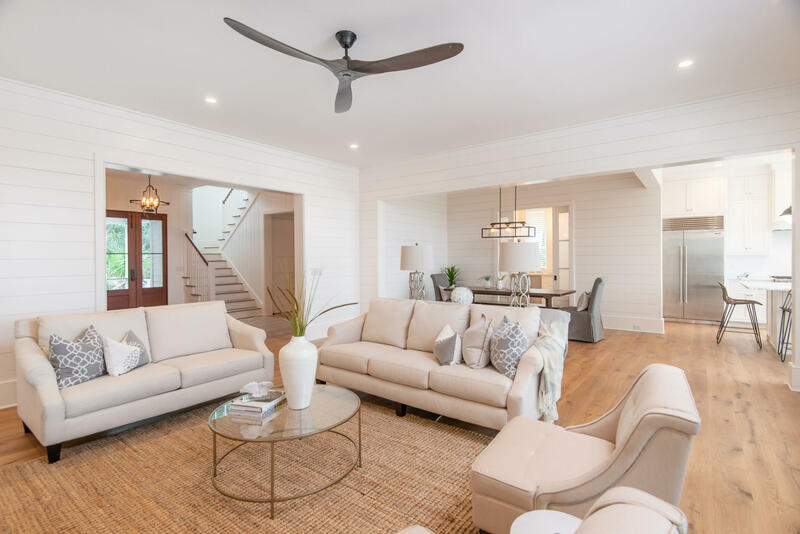 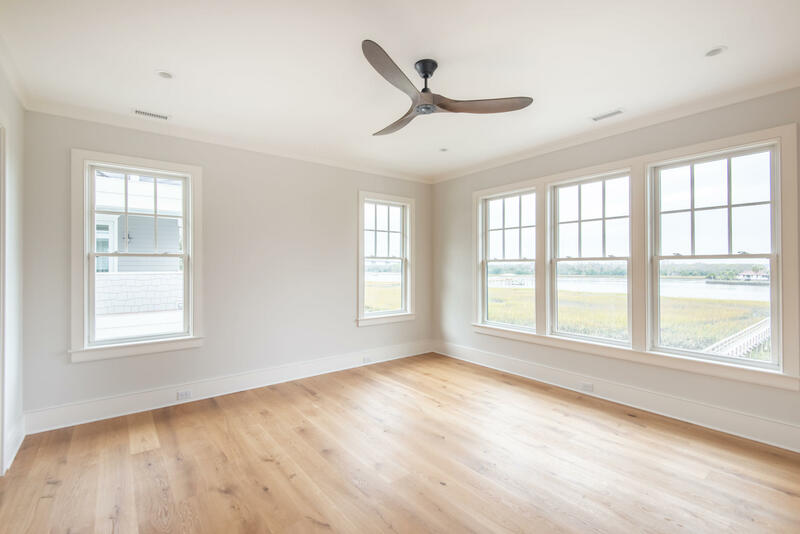 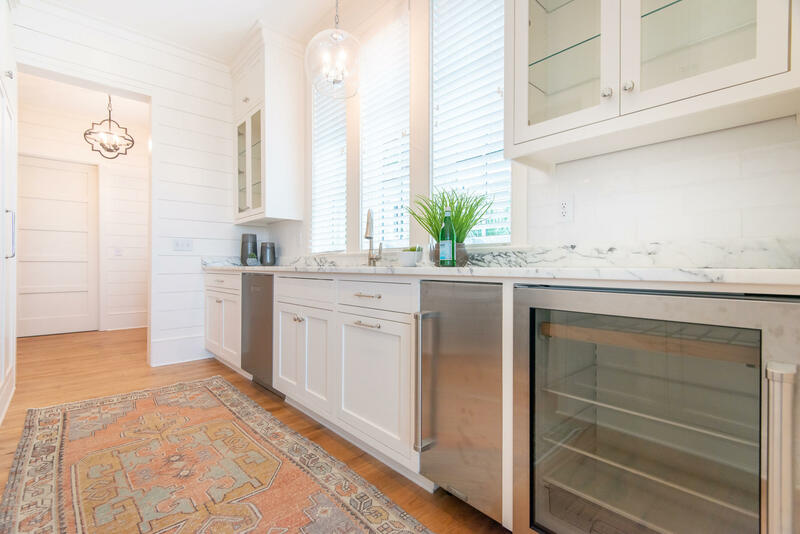 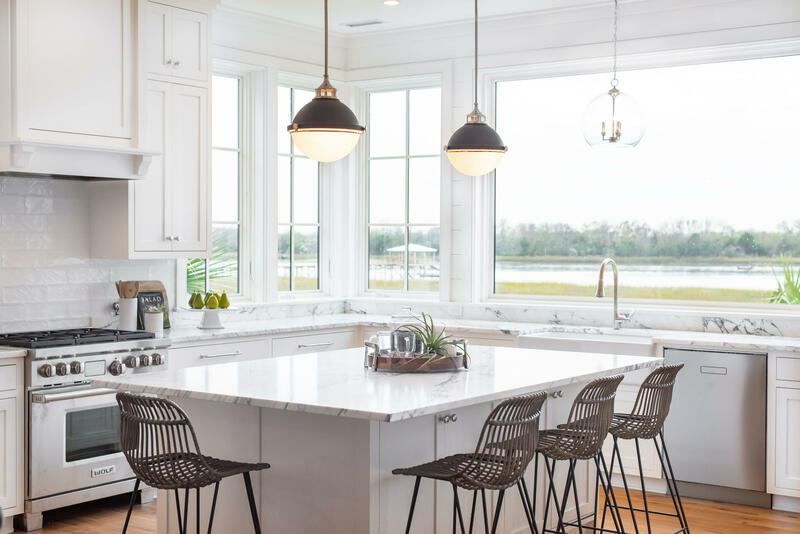 Nestled off the beaten path, yet convenient to everything, Whispering Palms is the last enclave of newly built homes on the Isle of Palms. 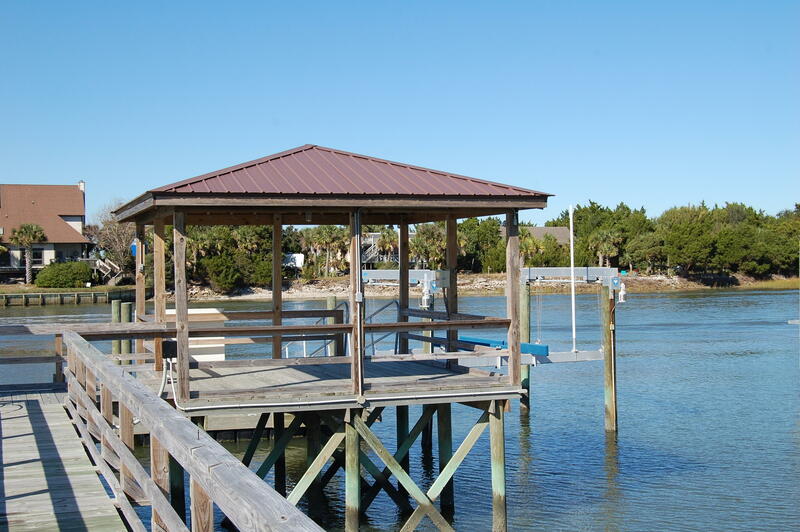 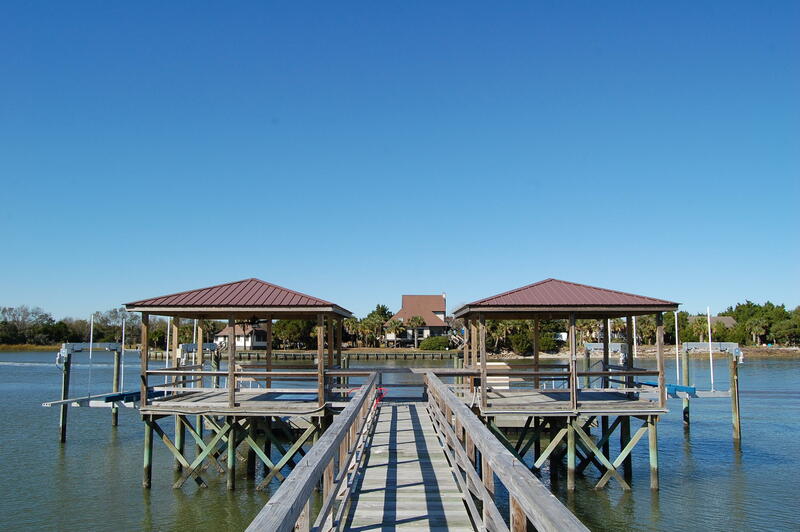 Take a 5 minute golf cart ride to the front beach or a 500 foot walk to your shaded dock area to enjoy active island living at its best. 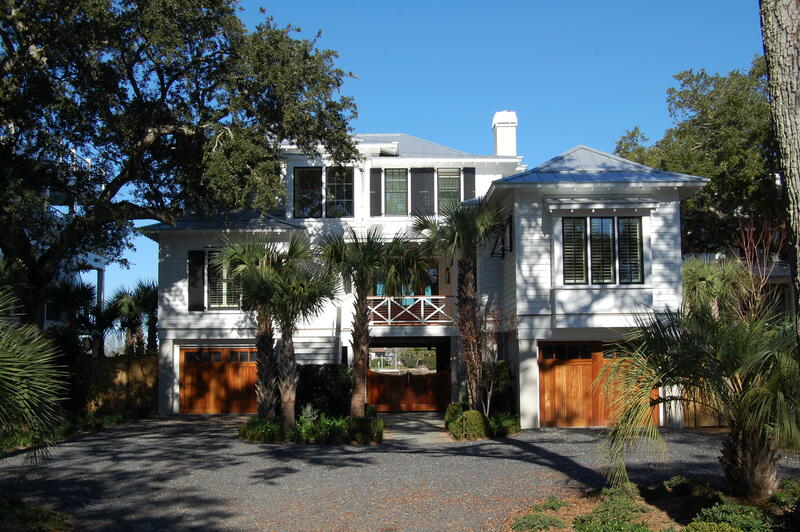 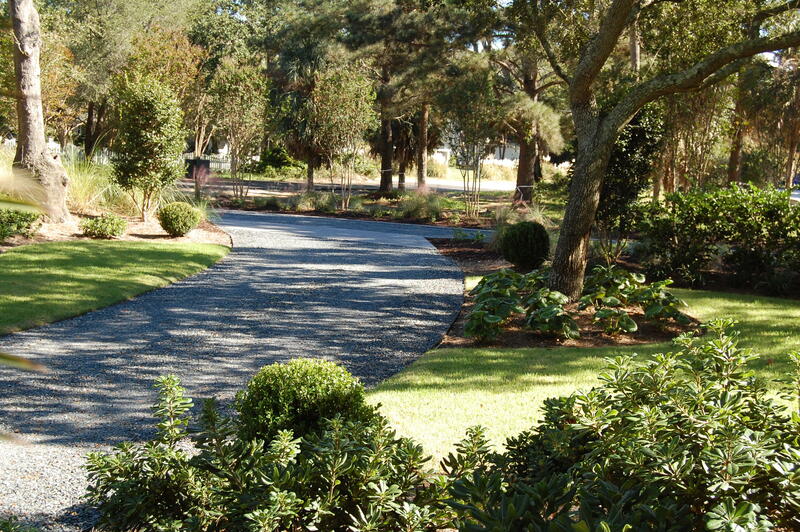 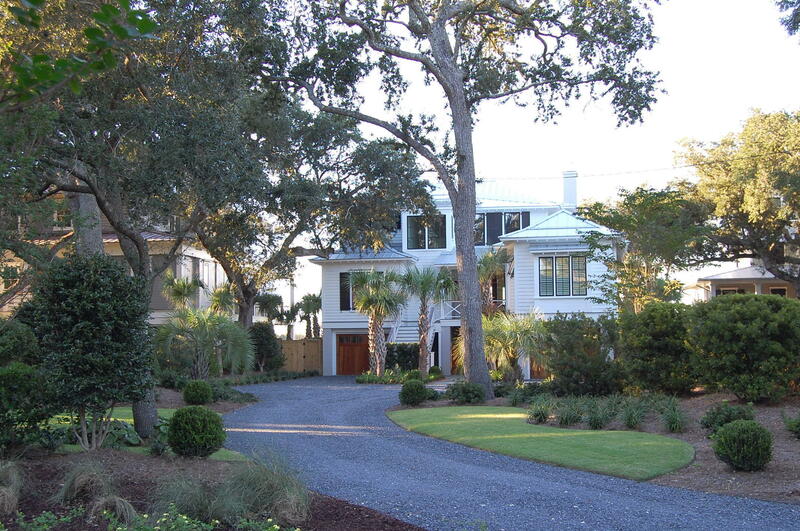 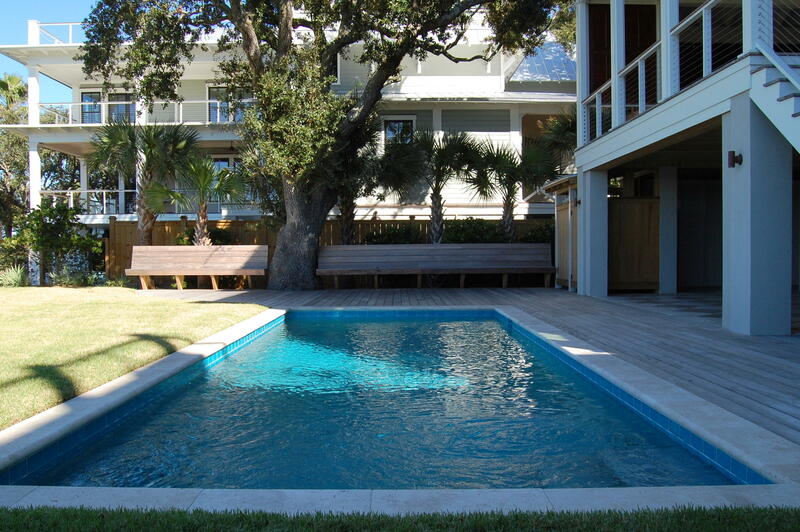 Professional landscaping, saltwater pool and garage space for 4 vehicles round out the ground level. 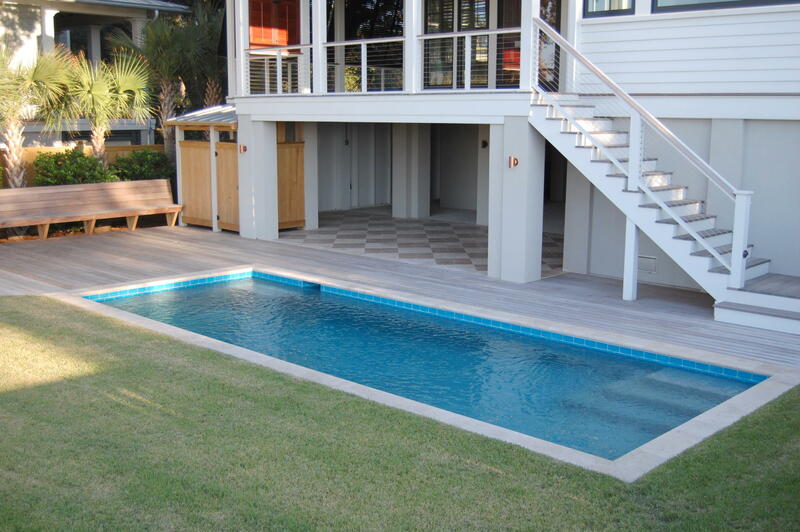 A dedicated area, with fireplace installed, awaits owners input for future poolside loggia and outdoor kitchen if desired. 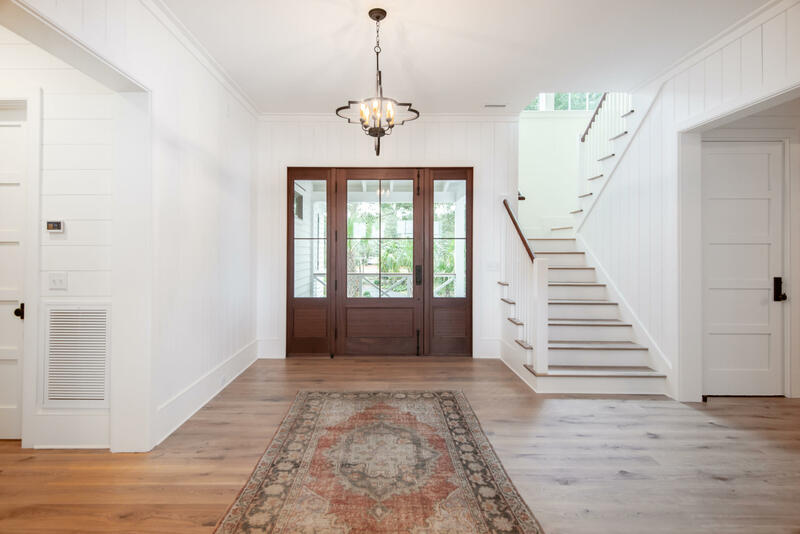 Interior woodwork and finishes are meticulous. 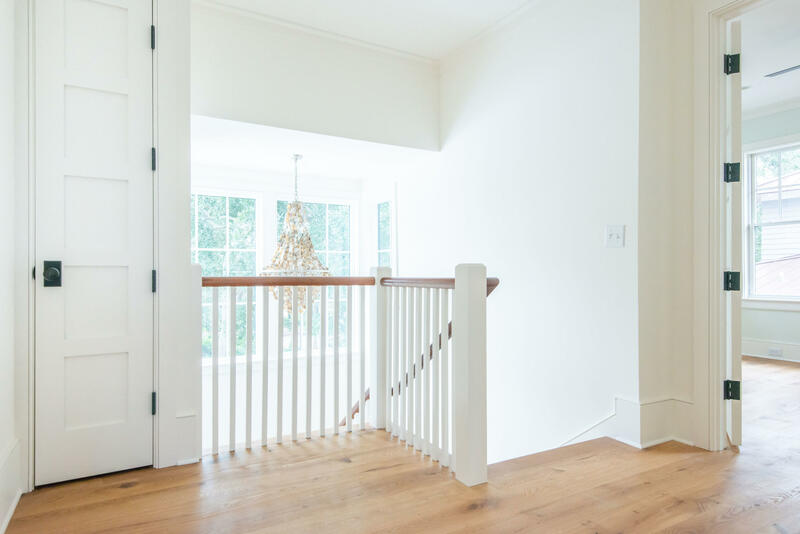 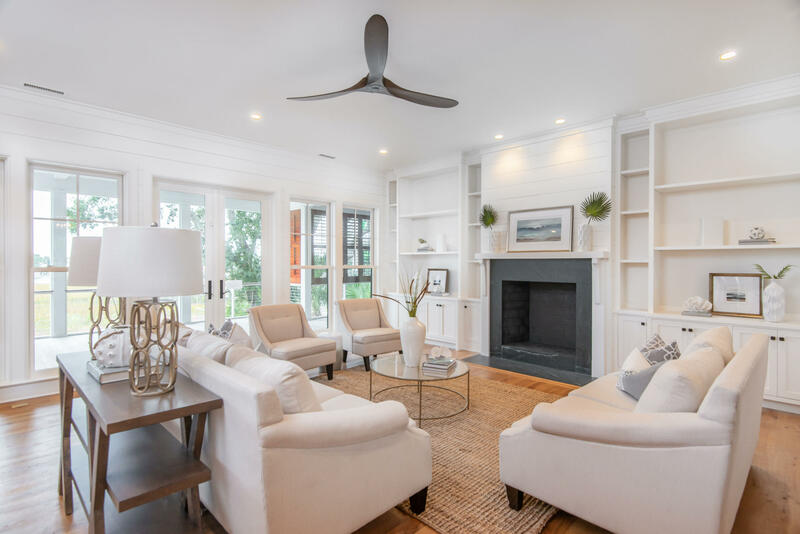 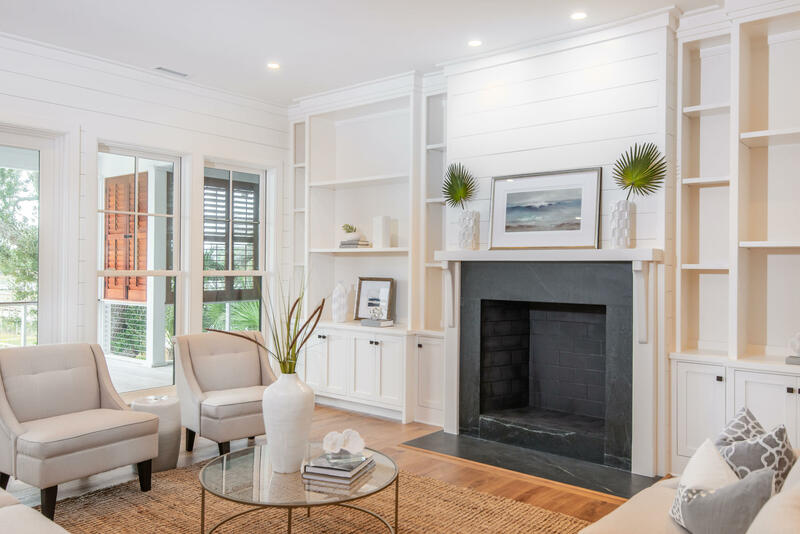 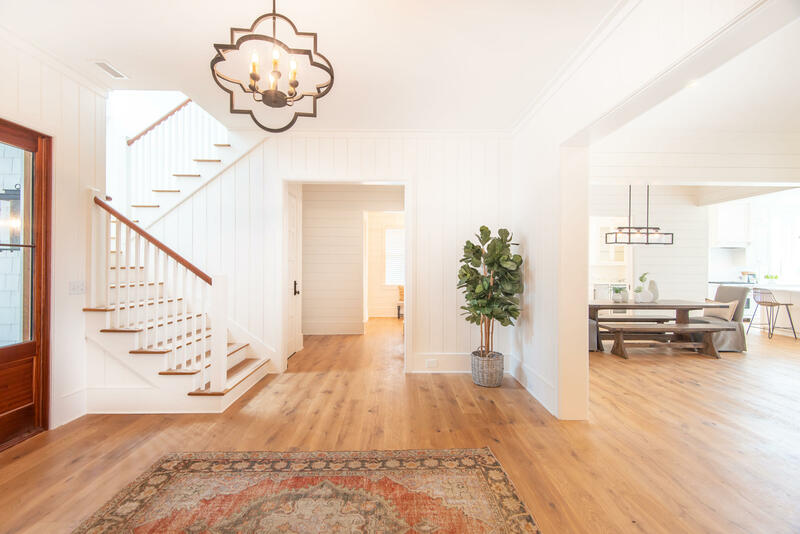 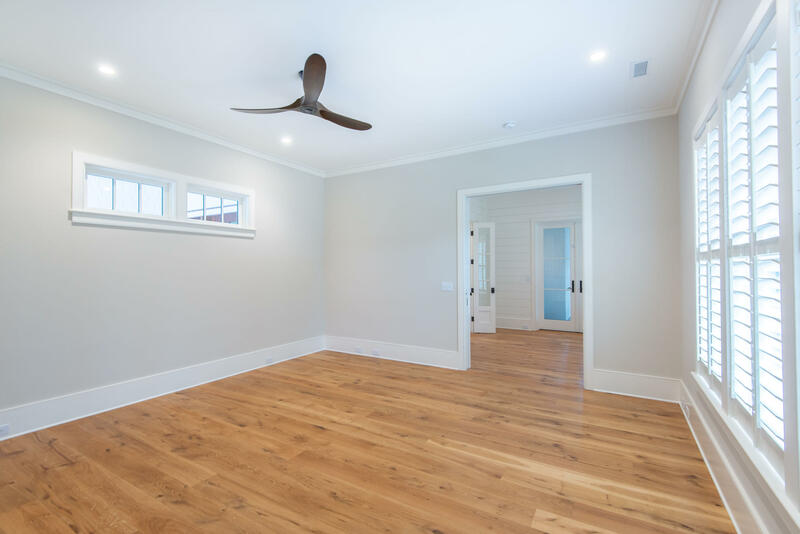 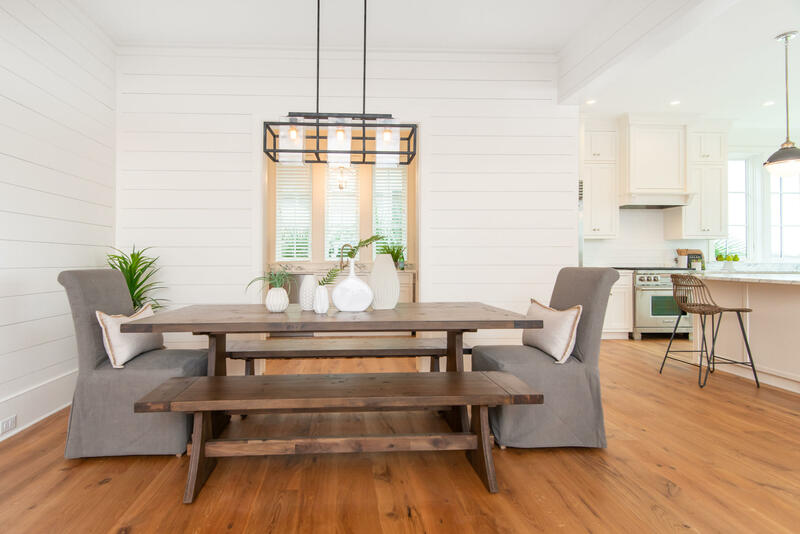 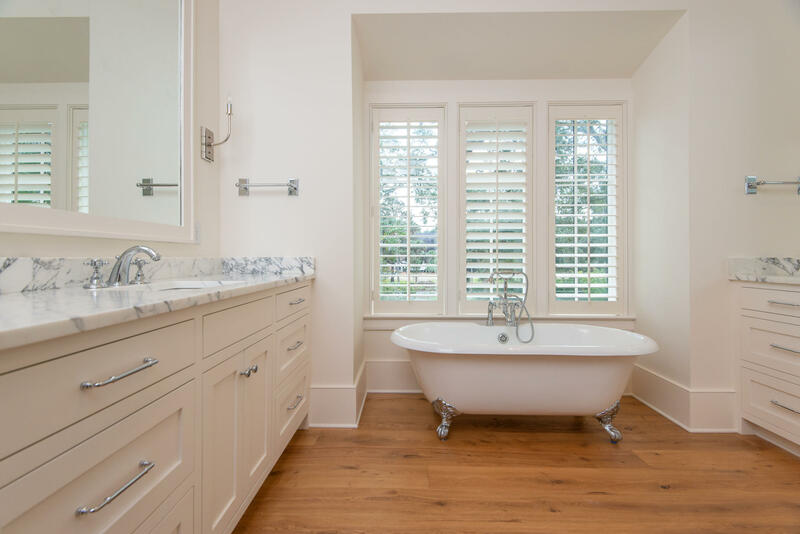 European oak floors compliment shiplap paneling throughout the living areas, mahogany doors and rails add warm accents. 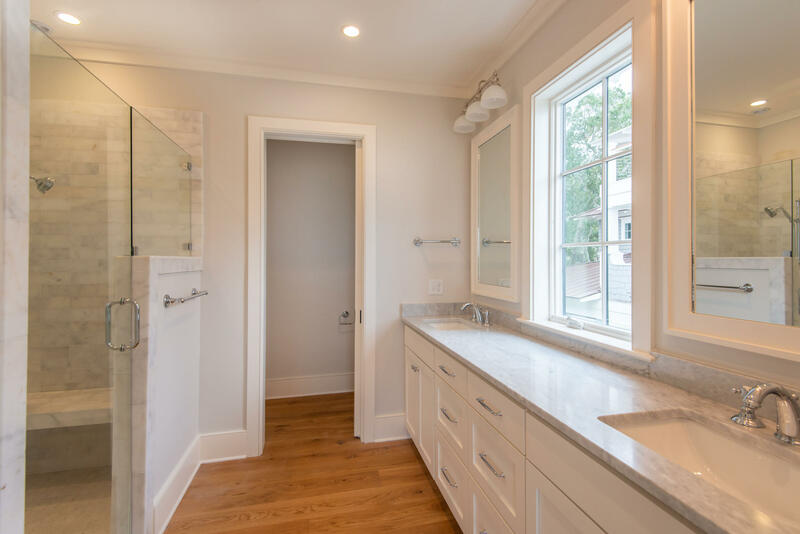 Wolf/Sub-Zero, Meile, Grohe, etc.